Year after year, the demand for green homes continue to grow, and Maracay Homes is here to answer the call. Maracay Homes is a member of TRI Pointe Group®, a family of premium regional homebuilders supported by the significant resources, economies of scale and thought leadership of a national foundation. 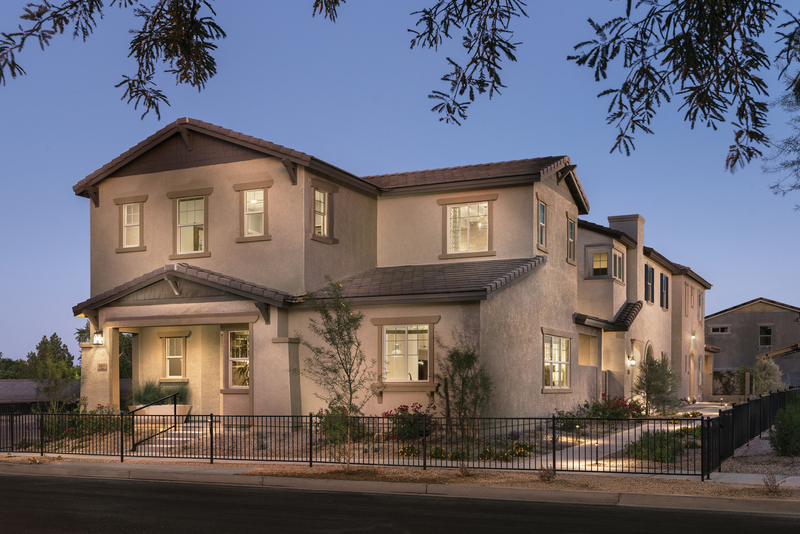 For more than 25 years, Maracay Homes has been a leader in the Arizona real estate industry, providing homebuyers with smarter choices that serve both their lifestyle and the environment, while constructing more than 9,000 homes for families throughout Phoenix and Tucson. According to the 2013 study “What Home Buyers Really want” by National Association of Homebuyers, 91 percent of buyers listed Energy Star-rated homes as their highest priority feature. For Maracay, building smart and healthy homes in premium locations just happens to be a major part of the company’s core values, so the majority of those features are present in their homes. Currently, Maracay Homes is expanding into Phoenix with the opening of an attractive, energy- efficient neighborhood just a few steps away from South Mountain Regional Park and Preserve. “Our road toward sustainable building practices began more than a decade ago when we committed to building only homes that were Energy Star® -rated,” said Andy Warren, Maracay Homes President. “To date, all of our homes are Energy Star® certified, and building LEED® is just the next step in our journey to become the most sustainable homebuilder in Arizona.” Their newest project, debuting in early 2018, Navarro Groves is designed to reflect the historic elements and natural beauty of the property and its roots as a former citrus growing and packing operation. The community of 54 single-family homes range from approximately 2,400 to 3,300 square feet and provide plenty of room to accommodate a wide variety of living situations and lifestyles. Each home is registered with the certification goal of achieving LEED Certified® standards from the U.S. Green Building Council (USGBC). LEED Certified® homes use 30 to 50 percent less energy than traditional homes, according to the USGBC, saving homeowners money on monthly energy bills. For more information, visit maracayhomes.com.